Just completed my European tour. Videos, photos, and new audio coming soon. Stay tuned! The title song, “Davey’s Cornet”, tells a true story of PTSD. A returning Veteran brilliantly disguises his war experience. “War is not remembered, it is relived”. For Recording Academy Members Only – Davey’s Cornet. 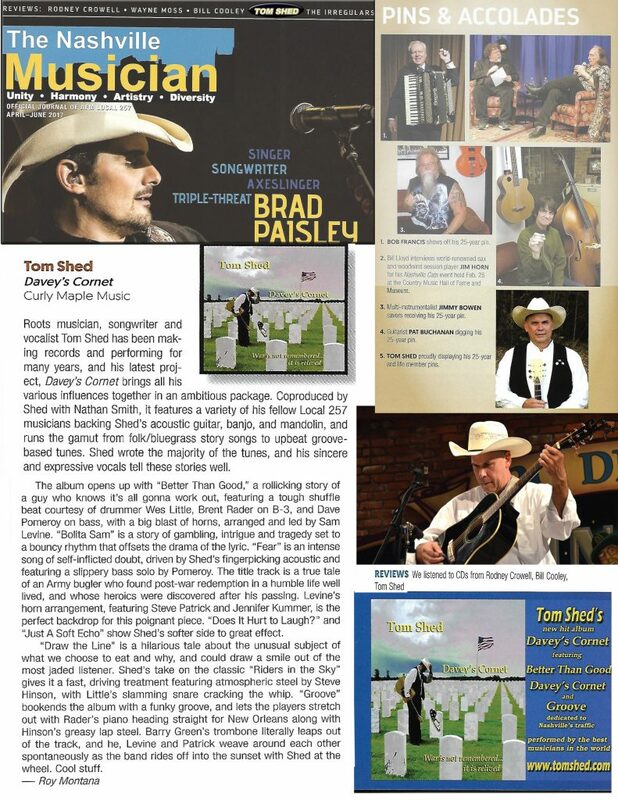 Tom Shed returns to Florida Festival this year and is featured in The Gainesville Sun. 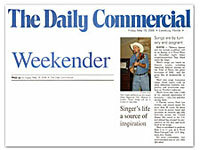 Tom Shed performs at A Third Place in Eustis and is featured in The Daily Commercial. 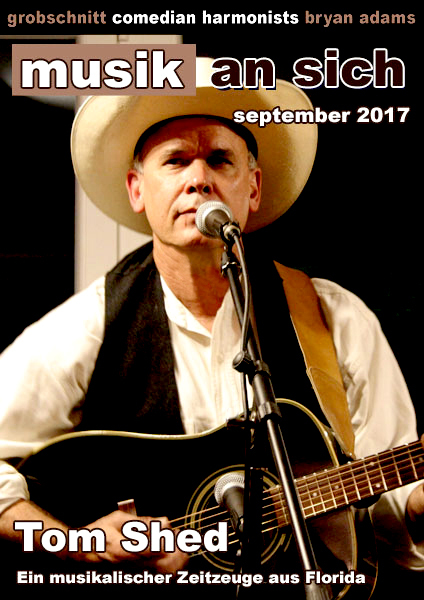 Tom Shed performs at the Thomas Center and is featured in The Gainesville Sun. Tom Shed performs at Gamblefest and is featured in The St. Augustine Record. 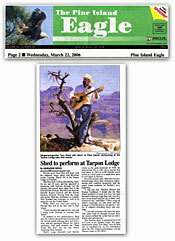 Tom Shed performs at The Tarpon Lodge in Pine Island, FL and is featured in The Pine Island Eagle.